The renowned Nashville Bluebird Café transplanted itself in the middle of New York City last month at the Southwest Porch. 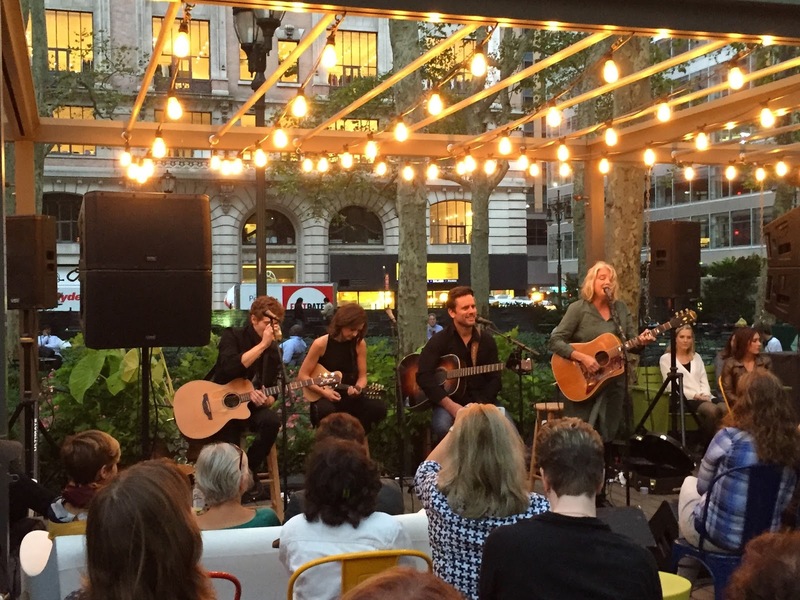 The stars of ABC's Nashville treated the Porch patrons to a free concert. Southwest Airlines® brought the legendary café to the Park with a star-studded performance featuring songwriter Kim Richey, music duo Striking Matches, and actor/musician Charles Esten. All three artists have tunes featured on the hit ABC show Nashville, in which the Café plays a key role in the show's music scene. You might also have recognized Esten as one of the main heartthrobs, Deacon Claybourne. The performance gave viewers a taste of Nashville and what the legendary café is all about. The most interesting part of the show is that each performer takes turns playing a song, and occasionally accompanies each other. The show closed with the four musicians doing a piece together.